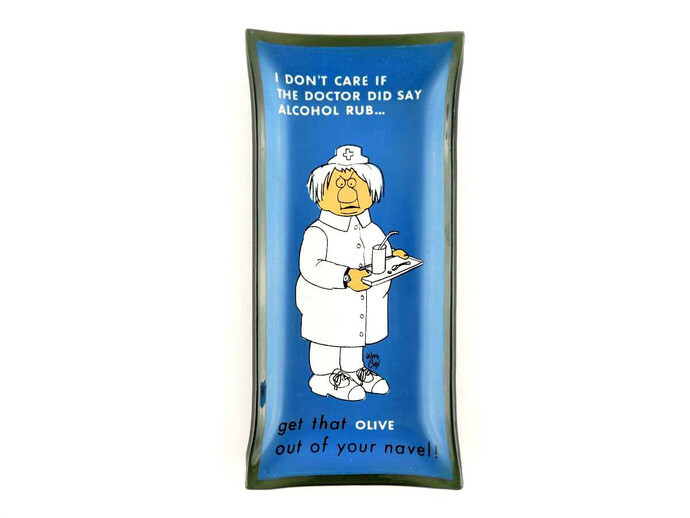 A small, kitschy, novelty glass trinket tray by Houze Art with a registered nurse comic, circa 1960s. Excellent vintage condition with bright colors and little to no signs of use. Measures approximately 6 inches by 2 3/4 inches. Made in U.S.A.
* ZiLvintage does not profit from shipping. Overpayments of $1.00 or more will be reimbursed. 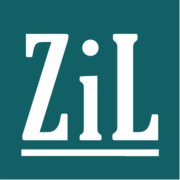 Please contact ZiL and include your zip code for combined shipping quote. Shipping destinations limited to the United States and US commonwealths only (no APO/FPO/DPO destinations). 14-day money back guarantee. Buyer pays return shipping. Please read FAQ's page for more details.